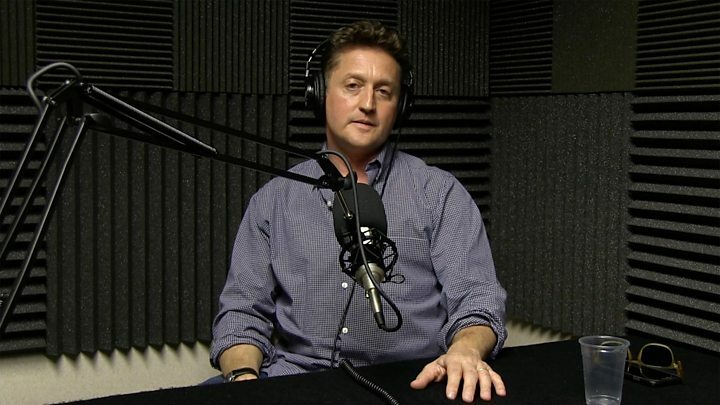 Actor Alex Winter has said making the Bill and Ted movies was "therapeutic" and proved "helpful" to him coming to terms with childhood sexual abuse. "It was an opportunity to be child-like... innocent and sweet," said the actor, who appeared with Keanu Reeves in Bill and Ted's Excellent Adventure. Winter, now 52, was sexually abused as a child actor in the 1970s by a man who is now dead. "The world of Bill and Ted is a very sweet and fun place to run around in"
He added that he now has a "functioning, healthy life", and said: "I love my career, I love my family and my kids. I feel incredibly lucky." But he went through "very hard moments along the way... you go to some very dark places. And you can get very dysfunctional". He said he carries "an identification with those that didn't make it, with the people that killed themselves, with people who are just walking around like a powder keg." Winter, whose other films include 1987's The Lost Boys, which starred Kiefer Sutherland, and Bill and Ted's Bogus Journey in 1991, said he had previously held his silence about his childhood experiences. Describing the impact of being abused as a young boy, he said: "It's hellish, to be totally frank. You know, it's hellish. "I don't think anybody felt like they were going to be heard if they said anything about this type of behaviour, until very recently. "I didn't feel that I had any place of safety to unlock an extremely sensitive and potentially dangerous secret," he continued. Winter said his experiences had left him with PTSD [post-traumatic stress disorder] and that he had had to do "heavy lifting" to work through it. The actor was speaking in the wake of a deluge of allegations of sexual abuse and harassment against leading figures from Hollywood, sport and politics. "The biggest light bulb I've ever had, since I was abused, was when this stuff started coming out, over the course of the last year," he told the BBC. "I never thought in my lifetime that I would ever be... sitting here talking to a BBC radio person about my childhood sexual abuse."